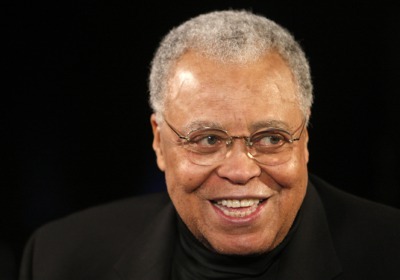 James Earl Jones: CEOs earn more if their voices sound like his. If James Earl Jones were the boss, he would likely make hundreds of thousands a year more than a CEO who sounded like Mike Tyson. Those are the findings of new research by Duke University’s Fuqua School of Business. The study, published online April 8 in the journal Evolution and Human Behavior, shows that male CEOs with deeper voices tend to manage larger companies, make more money and stay in their jobs for longer. Fuqua professors Bill Mayew and Mohan Venkatachalam, together with U.C. San Diego professor Christopher Parson, got speech samples for 792 CEOs from the Standard and Poor’s 1500 stock index. They analyzed the samples to calculate vocal pitch and then cross referenced the pitch levels with data on the total assets managed by the CEO, the CEOs’ compensation and how long the bosses had been in their jobs. “Our research is one of the first attempts to assess whether voice pitch plays a role in the labor markets of corporate executives,” says Mayew, an associate professor at Fuqua whose specialty is studying management communications during conference calls. To do the voice pitch study, Mayew and his colleagues pulled recordings of CEOs from conference calls and YouTube videos of interviews on CNBC. The analysis showed that CEOs with lower voices manage bigger companies and, as a result, make more money. The researchers got quite specific in their findings, claiming that a decrease in voice pitch of 22.1 hertz, translates to an increase in company size of $440 million in assets. They also found that CEOs with lower-pitched voices earned an average of $187,000 a year more than CEOs with higher-pitched voices. What is 22.1 hertz in the real world? Mayew suggests comparing the pitch of James Earl Jones’s voice with Mike Tyson’s and then measuring about a sixth of the difference between the two. The CEO study also showed that bosses with lower-pitched voices tend to hold onto their jobs for around five months longer than their higher-pitched counterparts. The CEO study backs up previous laboratory research showing that voters prefer politicians with deep voices. In a 2012 study, two biologists and a political scientist recorded men and women saying, “I urge you to vote for me this November.” The researchers then edited each recording, making a higher- and lower-pitched version of the original and played them for groups of men and women. The study subjects said they would vote for the candidates with lower-pitched voices, regardless of gender. A 2011, a Canadian study also showed that people prefer political candidates with lower-pitched voices. 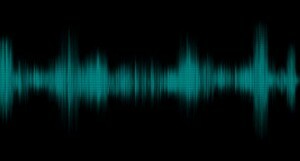 That study used archival recordings of nine U.S. presidents going back to Harry Truman, and then manipulated the voices to create higher- and lower-pitched versions. Researchers then played the two versions for study subjects who were asked to rate them for qualities like trustworthiness, leadership and intelligence. The lower-pitched recordings got the highest ratings. According to a BBC report, Margaret Thatcher got vocal coaching to lower the pitch of her voice. The CEO study also cites previous research showing that women find deep-voiced men more attractive, that deep-voiced men mate more frequently and father more children. Why did the researchers only look at male CEOs? There aren’t enough female CEOs to supply a large enough sample for a study, says Mayew. Though the study showed that CEOs with low-pitched voices make more money and last longer in their jobs, Mayew points out that he and his colleagues looked broadly across companies, rather than examining CEOs in particular businesses like high tech. He notes that when the goal of a company is innovation and the CEO takes an active role working with teams, a high-pitched voice may be preferable. “Low voice pitch is a dominant characteristic,” he notes.